Violetta Gaetani is a young Italian musician graduated by the Musicians Institute from LA and the lead vocals on the melodic hard-rock band Afraid of My Neighbor, also settled in Los Angeles. Despite her passion for commercial rock and pop-rock cheerful tunes, Violetta is no sweet diva standing and singing while everybody around her do the hard work. Her passion for music took her to serious grounds and to the development of professional, technical skills, as well as she is an entitled professional for vocal teaching in the Musicians Institute. Right now getting ready to start a tour around the western coast promoting her band’s first EP, Violetta is just starting to pave the grounds of her route to fame. To become a musician as eager and dedicated as she is was not as hard as it could be when you are raised in a nest of art and music. Violetta’s father, Filippo Gaetani has a music studio at the place where Violetta has grown up in the beautiful Tuscany region of Italy. The then young girl was always paying a visit to her father’s studio and her passion for all about the music process was gradually growing with her. In 2009 when she was already a teenager, she released her debut EP “Defeating the Impossible” with the help of her father through his studio, Rayrecordings. At this point, Violetta was already skilled and aware of audio engineering as well as she would be writing and singing her own songs. The desire to move to LA was the next step to make her goals as a musician to go further. Music for Violetta must be appealing and able to bring people together, that’s why she is not ashamed to love commercial music and pursue the top notch quality of this kind of production despite being an avid fan of hard rock and heavy tunes, as they can be as appealing as anything else commercial, something she and her band are proving well. In 2012 Violetta has become part of her own band, Afraid of My Neighbor. The energetic and young quality of their heavy melodies and fierce performance is gradually setting their fame. Recently the band released their first self-titled EP and they are not shy about the success. The band is getting ready for a tour around the western coast after several enthusiastic gigs in LA. Graduated in Audio Engineering by the Musicians Institute, Violetta play a part in all aspect of her music, is the girl also behind the Pro Tools and not only the microphone as she is an eager talent forging her art and spreading it around with her musical mates. The band’s debut EP can be streamed on Spotify and is available at iTunes store. Cengiz Dervis is a multi-talented performer hailing from London, UK. An actor, combat expert, producer, writer who produced and starred in the award winning short film “Drake”. Cengiz creates some of his work through “Fight Me Productions” which he set up in 2012 and this successful performer is starting to see his written works hit the shelves and screen with he’s published books and scripts. 2013 saw the release of ‘The Drake Files’ the first of three 280 page graphic novels and his children book series ‘Jengito’. Production wise in 2014, Cengiz has completed filming in feature films “By Any Name”, “Retribution”, “Life Is Too Short”, “A Dark Reflection” and the short films “London Hood” and “Salvation”, where he was nominated for Best Villain at the 2014 AOF Film Festival in California.”. Future projects cover the feature films “The Drake Files” and “Galahad” both which he created and his idea has been turned into a script / adapted by screenwriter Craig Busek. Both feature films to be produced by Beresford Pictures where Cengiz will play the lead role in both. Additionally, he’s currently gearing up to film short film “Brothers Promise” and 2015 see’s cast in a leading role in feature film “The Meeting” alongside the very talented Dan Richardson and Hugh Quarshie. Cengiz’s love for acting began when he was just a teenager and he used to produce short films with friends and was involved in theatre before totally focusing on screen acting. Now Cengiz is a master of Martial Arts trained in kickboxing, MMA, Boxing, Muay Thai and Ancient, Eastern and modern weapons training… Cengiz occasionally assists in preparing actors physically for film where he can call upon his extensive combat background and understanding of screen action. He has worked with such names as Funny man Rowan Atkinson, Grammy award winner Natalie Imbruglia,Matthew Macfadyen and more. When it comes to talent, skills and determination, Cengiz is your go- to guy, not to mention he has a huge future. We can’t wait to see what he does next! Phoebe Plasto is the latest new talent emerging from Australia to the worldwide acting scene. She has been described as a combination of Cate Blanchett and Jennifer Lawrence, with a sophisticated but goofy and jokester manner; the only time she’s ever serious is when she’s in front of the camera. She is a down to earth Aussie girl ready for the bright lights of LA. Plasto was born and raised in Sydney, where she discovered her love for acting at a young age. Growing up in an artistic family, Phoebe was able to flourish her artistic expression in an open environment. She started classical ballet when she was 2 years old, which triggered her urge to perform and be on stage. While at school, she was involved in every aspect of performing arts, from singing, dancing and acting in her school musicals, acting in plays and singing and dancing in the performing arts nights, Phoebe didn’t miss an opportunity to be on stage. She took time out from school to study at the National Institute of Dramatic Arts and after graduating high school, it was no surprise that she was accepted into the prestigious New York Film Academy where she vigorously studied acting and was trained by several of the best acting coaches in the world. When returning to Australia after studying in New York, Phoebe got straight into the theatre scene, putting her hard studies to good use. Adding credit after credit to her resume, Phoebe went on to earn herself a best actress nomination for her role in the risky Aboriginal indie drama, “Leave it at That”. Wanting to broaden her range, Phoebe went on and tried her hand in Verbatim theatre, acting in the critically acclaimed ‘Run Rabbit Run’, a play based on the history of the South Sydney Rabbitohs. Dabbling in the world of modeling, Phoebe can be seen in magazines such as Cosmopolitan, Ruush, Oyster and Girlfriend magazines, as well as modeling for brands such as Status Anxiety, Perspective and Grey Ghost Apparel Australia and many other brands. She also graced the cover of Sydney Newspaper ‘City Hub’, praising her for her bold performance in play ‘Blue Rock’. Phoebe has been expanding her artistic talent in Australia and aboard, acting in several indie and art house films, a television series and a vast array of plays. She has also starred in music videos such as ‘Erotica’ by Giorgio Ciccone, a classic 80’s hit originally written and performed by his cousin Madonna, as well as Australian Indie Rock Band ‘Sea Legs’ for their hit song ‘Al Pacino’. She was notably successful in her collaborations with awarded playwright and director Lisa Eismen, who has continually cast Plasto in leading roles. After collaborating on many projects, Plasto and Eismen are teaming up once again to work on another film together, which will go into production later this year. Some people have such talent and commitment towards their profession that it is easily reflected in their work and appreciated by one and all. One such successful and immensely dedicated performer is British actor Luke King who has given outstanding performances in the various fields of entertainment. His brilliant performances are seen in his theatre credits like “Are You Positive”, “The Gas”, “London Tour”, “Ghetto”, “Blink of An Eye”, “Bloody Taunton”, “Lysistrata”, George Orwell’s ‘1984’ and 1984 adopted by Nick Lane. It is worth mentioning that the director of “George Orwell’s ‘1984’ Benn Cody was impressed by the way Luke was committed and was professional during the rehearsals as well as the production. Luke was recipient of John Miekle Award when the run of the play was finished. For Luke, his personal favorite role is that of Risk in “Face Up”. Besides this he has also featured in the music video for Luke Potter’s “We’re alive”, the films “Family Meeting” and Ahmet Bilkan’s The Ring”, short films “Guilt’, “Happily Never After” and “Status Update”. The most admirable aspect about Luke are his qualities for hardworking and dedication and though he aspired to get into football, today he has carved himself a place in the world of entertainment through his incredible performances. He is a Graduate of Bath Spa University BA Hons in Performing Arts and has received extensive training in various subfields of the entertainment industry. This surely shows the level of passion this young star has. His upcoming projects include “Face Up”, Kiss FM commercial and also he is directing a short film. Inspired by legends like Noel Clark and Chiwetel Ejiofor, Luke wants to perform as long as he is able to across the various mediums of entertainment. He wants to continue studying, learning as well as honing his craft and his future plan is to work in America. 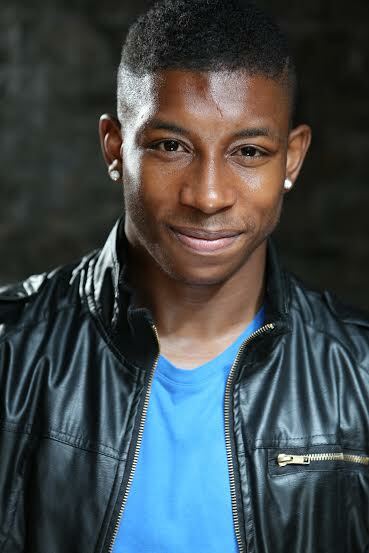 This young star is a believer of giving back ot society and wishes to open acting school in his local area of Wembley. For aspiring performers he gives advice to be surrounded with positive people and not to take rejection personally.